and support staff interested in FASTPace software. Does FASTPace allow me to track my containers? Does FASTPace work with QuickBooks? What kind of Training and Support does FASTPace offer? How long has FASTPace been around? What does this mean: " FASTPace is a system software"? So what's the value in having a "System Software" in a business? What's the process of implementing FASTPace Software into a new company? Q: Does FASTPace allow me to track my containers? A: Absolutely, the feature is called the Unit Locator. This function is the real time container tracking tool which works with the Dispatch Board. The Unit Locator tells you the exact whereabouts of your containers. You'll know if the container has moved from the yard, is in repair, on the road, at the job-site or in the yard. The software keeps track of the containers in real time constantly updating the Unit Locator. Updating isn't dependent on when you have time. FASTPace does it automatically, but the beauty is that you can do it whenever it works best for you, real time or at the end of the day. It's your choice. Note: The container tracking function has by-product info such as container aging, showing you what's available, allowing you to calculate rent and other information that helps you work your container inventory. Q: Does FASTPace work with QuickBooks? A: Yes. We know that most Roll-off companies have QuickBooks and really like it. With that, we created a billing interface that our customers have found to be a very powerful tool for generating their invoices accurately and with much less effort. FASTPace invoices are produced in QuickBooks along with the cash receipts and other financial activities. Q: What kind of Training and Support does FASTPace offer? A: FASTPace has excellent one-on-one training. We give the instruction at your pace and according to your schedule. It is divided into 1 hour segments. We do understand the importance of being there for the customer, and are glad to answer all the questions that you can generate. In addition, we offer on-going training and critiquing to help our customers tune and hone their office systems as they grow and evolve. Q: How long has FASTPace been around? 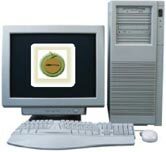 A: FASTPace Software Company was introduced to the industry in 1996. FASTPace software was developed by Scott Emon and Carole Beach. Each has had extensive experience in systems design, working in many different industries. The combination of experiences in Trucking, Waste, Inventory Management, Accounting, and Business Systems, contributed to developing a software product that is efficient and effective. Q: What does this mean: "FASTPace is a system software"? A: Every kind of business has its own way of doing things, so there are different software packages that are designed for different kinds of businesses. Whether it's a bank, manufacturer, hospital, etc., there is most likely a software package designed for each type of business. These software packages would be described as a "system software" for a particular business. FASTPace is designed for roll-off companies. It offers the roll-off company a "system". In this system, office tasks are organized into processes with procedures. Since the processes are roll-off specific, it can make any roll-off business run excellently. Q: So what's the value in having a "System Software" in a business? A: System Software specifically matches the software to the tasks and needs of the business. It instills structure and organization in the business, so that the business can do things more effectively and efficiently. System software gives you what you need to know, when you want to know it. The end result: a business can run better and more easily. Q: What's the process of implementing FASTPace Software into a new company?